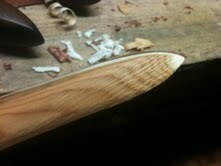 We specialize in traditional bow making and in introducing people to the art of making a wooden bow. 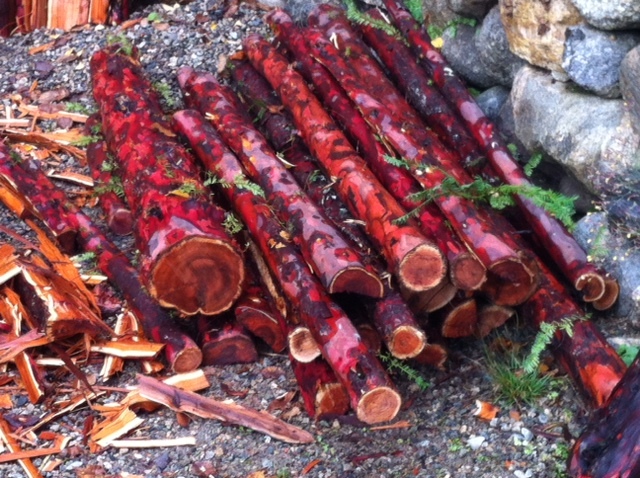 Join us for a workshop on how to make your own yew longbow in the beautiful West Kootenays. Bow building at it's best! Or request a group workshop in your community. 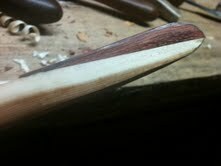 Clark has also facilitated several longbow workshops at the North American Longbow Safari and across Western Canada. Email or call today to book your time. 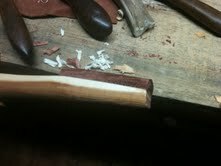 Read Testimonials from longbow making workshops with Clark below the photo gallery. Participants are introduced to how to make archery equipment with master bowyer and teacher, Clark Dennill. 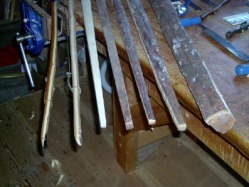 The process from stave to finished yew bow is demonstrated as well as making arrows spined to match a yew wood bow. 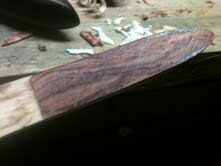 Individual progress on bows is largely determined by the experience the student brings to the process. That being said, no one has ever left disappointed. The typical length of a workshop is six full days. 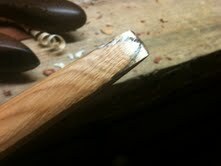 Individual workshops in our shop are priced at $150/day plus the cost of a stave. Please inquire for group workshop rates. It is December, but the week in July of 2007 that I spent in Nakusp is vividly fresh in my mind. I was touring in BC. for five weeks, 7000 miles from home. That middle week was spent in the company, and at the home of, an extraordinary guy. He is Clark Dennill, woodworker, furniture maker extraordinaire, bowyer, woodsman and much more! I hoped to learn from him some of the technique of making yew self-bows. I met more than my match. I have spent a lifetime working with wood, both as a turner and carpenter. Clark left me a little nonplussed when he handed me my chosen billet (top quality slow-grown BC yew) and a hatchet, and suggested 'now let's see what's in there -get to know that stave'. Suffice it to say that he already knew what he would have taken from it. I spent the following four days finding out, under his patient, knowledgeable and truly expert tutelage. But that is only part of the story. Heather, his wife, is the other half of the team. From the background of an obviously happy home, each of them made my week in their company into something much more than the sum of its days. Their calm kindnesses and their capacity to enjoy each day left has left a lasting impression. Of course, I ended up with a fine bow of which I am justly proud. I shipped it home to Ireland, where it has been admired by those who know. I didn't do all the work. There were times when Clark's perfectionism required him to take the scraper and say 'try it this way'. A few deft strokes soon had me back on the trail of that elusive single growth ring. For anyone who wants to experience the unique pleasure of shooting a bow made by your own hand, Clark's workshop deck has to be one good place to make it. Apart from his beautiful bows, each with its own story, his furniture pieces exude craft and almost Oriental attention to detail. I look forward to going back. "Excellent workshop. I would recommend it to anyone. Thanks for all the valuable information and your patience." My father taught me how to use a bow over 20 years ago, and although my interests have changed over the years, I have always had an attraction to the world of archery. Coming back to the sport of target shooting, as we both did last year, we have found it to be an incredibly rewarding experience. While I, personally, have been drawn to the modern equipment of Olympic-style archery, my father has always reminded me of the glory and romance of the old English longbow. 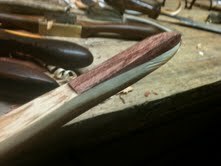 He has considered building his own bow for a very long time, so I felt he was in need of a little nudge. How perfect, then, to learn that there was a skilled bowyer in the heart of British Columbia who could help us both craft a lovely bow from a simple stave. Little did I know how wonderful the whole experience would turn out to be! Our 6 days with Clark in his workshop were, without a doubt, the most calm, contented, and gratifying days that I have had in a very long time. Our minds cleared as we became focused on the task at hand. Our wood working skills improved, guided by Clark's experience. We shot with our regular bows every day which, itself, was worth the trip. And then to come away with such incredible works of art! 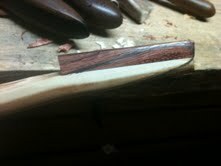 It is very difficult to describe the moment of joy when you first shoot the bow that you have crafted. I most sincerely recommend Clark's workshop to any and all who love archery so that you can have the same experience that we did. Not only was I a complete beginner at bow making, I had no wood working experience before attending Clark’s archery equipment workshop. That didn’t turn out to be a problem at all because Clark demonstrated, and explained, how to use the tools and walked me through building a bow step by step. 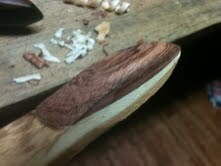 It was exciting to sculpt the bow from the raw stave watching it slowly take shape each day. Clark kept a close eye on my progress, making sure I didn’t get too carried away with my scraping or shaving and helping me with the particularly tricky bits. For a change of pace, some days we would make arrows and do some shooting out the back of the workshop. After 5 long!! days of hard work, I had a beautifully finished bow in my mitts and we took it out the back for a shoot. 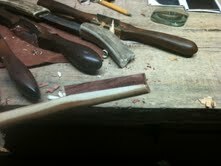 I must admit I was feeling somewhat skeptical; most of the things I have made have broken or not worked at all. This wasn’t to be the case today, however. Not only did my new bow look good, it shot beautifully as well! I learned a lot at the workshop, not only how to make and finish a fantastic bow but also how to make arrows from scratch, make a string, how to use and care for tools, and also I made a lot of great new friends. If anyone has any questions, about the workshops or about Clark’s bows, send me an email or give me a call. Please ask for a referral to Tim through info@thewoodenbow.com and we will put you in touch. Clark is so patient and doesn't expect perfection from you because its taken him years & years of practice to perfect his craft. And, believe me, Clark Dennill is a master at his craft! The bow we made is the talk of my small town; everybody wants to see that beautiful YEW wood flatbow that Clark & I sculpted in only 6 days. I've wanted a wood bow ever since I was a child and now the child in me has awakened. 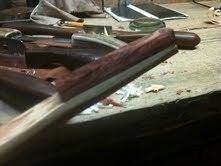 Wait until you try a Clark Denill Yew wood bow and see how accurate & silent they are. It will be an awakening for you! I still can't quit grinning, Clark, everytime I string that bow & shoot it! Thanks again! And lay out the bow. Let the wood be your guide. with your fingers, the balance. the back and work on the belly. and your body, take care. on shadows to see details. It is good to be critical, step back. The bow will relax and be straight. and breathe down the shaft. appreciation of Clark's ability as a bowyer and woodworker. 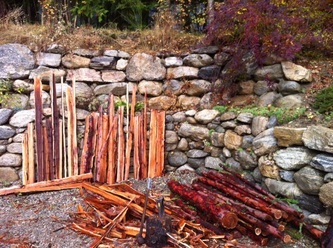 If you are feeling stressed out, and have not spent any quality time with a loved one and could use some beautiful scenery and a excellent cup of coffee, you might try building a yew longbow with Clark Dennill. I consider the tuition for Clarks' workshop to be one of the best values there is to be found. 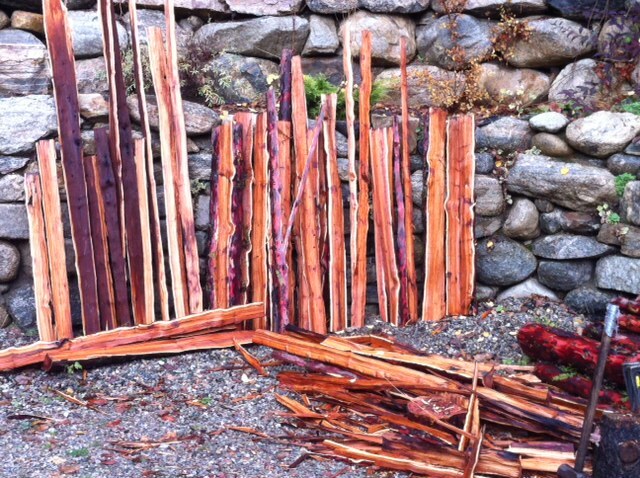 Contact us about workshops on making your own yew wood bow or custom traditional/primitive archery equipment.